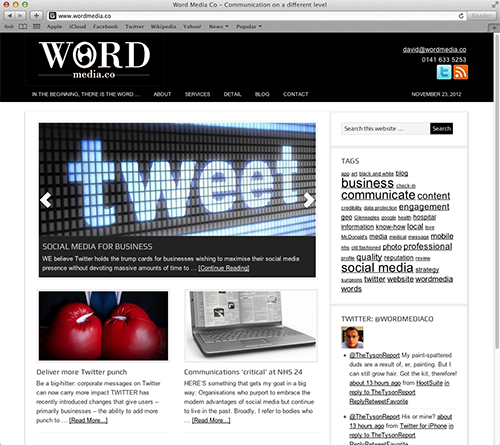 We have recently been working with social media guru David Boyes at Word Media Co. As the name suggests, text plays a rather big part in Word Media Co’s site. However, a sensible layout and appropriate imaging also had to be taken into consideration. If your business needs an updated online presence, get in touch with David (info@wordmedia.co) and we’re sure you’ll see a vast improvement in 2013!